In recent years a number of affordable spectrophotometer based colour management systems have appeared on the market. Spectrophotometry, i.e. the accurate measurement of colour by measuring the spectral reflectance of an object, is at the heart of good colour management. What once required massive investment and substantial training is now relatively affordable and easy to use. It is possible to buy a system for just a few hundred dollars that can completely calibrate and profile your entire workflow from capture, to display, through to print. Professional devices start at around $3000 and are very capable machines indeed. Colour management can seem very complex - please don't hesitate to get in touch for advice if you're feeling overwhelmed by all the options. If you're a photographer or graphic designer, doing your own printing/proofing, using one of the many high quality inkjets now available, you will most likely be using the standard printer drivers that came with your printer. These perform automatic RGB to CMYK conversion on your behalf, and so are profiled as RGB systems. You use the print quality and paper type settings to broadly control the amount of ink going down on the page. This is the situation for most photographers/designers and offers a very high quality approach when you use a high quality profiling solution. The only way to achieve more control, which is not necessary for most people and brings with it significant extra complexity, is to move toward replacing your printer driver with a true RIP driver which offers individual ink channel controls (see the next section). For most people without specialist needs, this will bring with it little to no benefit and much higher complexity and cost, and so we would not recommend it. Our own custom profiling service (an alternative to buying your own calibration system) is by default an RGB profiling service (of course we do full CMYK profiling as well). Especially with recent printers and drivers, the printers behave very well in terms of linearity and respond very well indeed to an RGB profiling approach, so further control is simply not necessary to achieve excellent results. 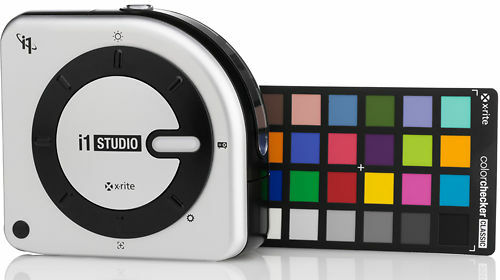 i1 Studio from X-Rite. 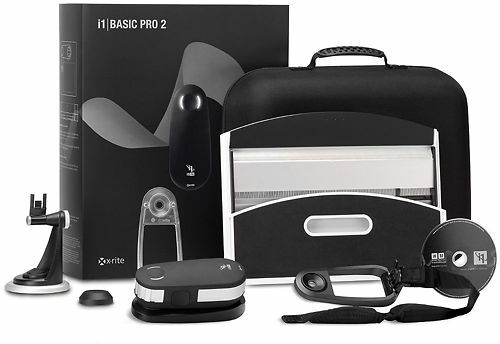 This device is by far the most affordable, very easy to use and good quality. Recommended to amateurs on a budget who are keen to bring greater quality to their colour! Calibrates monitors, scanners, projectors AND printers. 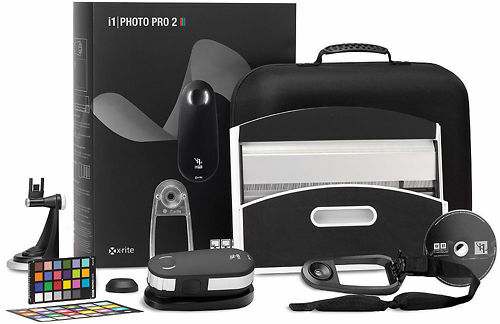 i1 Photo or i1Publish Pro 2 from X-Rite - our recommendation for professionals, and pretty much the industry standard, and a fantastic extensible colour management system. If you only need RGB go the Photo model, if you need to add CMYK then the Publish model. (While we carry them, we don't feel the DataColor products in this area are competitive with the above options. They simply don't make printer profiles of the same quality). 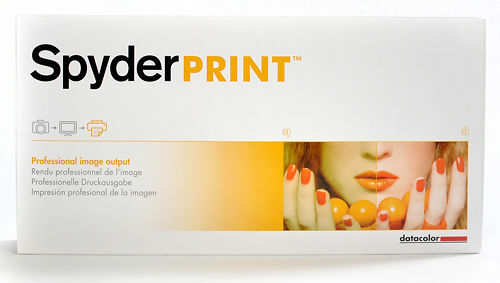 Spyder Print enables you to easily create custom profiles for your printers, inks and paper. 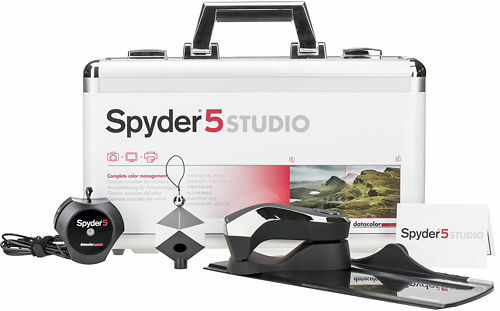 DataColor Spyder5 Studio provides colour calibration from capture and editing, through to print.